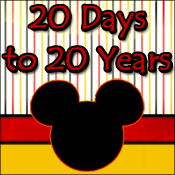 There is a lot of talk about Walt Disney World's 40th birthday going on and a lot of merchandise to go with it. On a recent stay at the Walt Disney World Resort, I took a little stroll down memory lane. Care to walk with me?